E-cigarettes are sparking heated debates as lawmakers, medical professionals and industry grapple over the relative safety of the nicotine-delivering devices. But for pet owners, there is no debate. Nicotine poses a serious threat of poisoning to dogs and cats, and e-cigarettes back a powerful punch. The problem is that many pet owners don’t realize it. Pet Poison Helpline has encountered a sharp uptick in calls concerning cases of nicotine poisoning in pets that ingested e-cigarettes or liquid nicotine refill solution. In fact, over the past six months, cases have more than doubled, indicating that along with their increased popularity, the nicotine-delivering devices are becoming a more significant threat to pets. While dogs account for the majority of cases, nicotine in e-cigarettes and liquid refill solution is toxic to cats as well. “We’ve handled cases for pets poisoned by eating traditional cigarettes or tobacco products containing nicotine for many years,” said Ahna Brutlag, DVM, MS, DABT, DABVT and associate director of veterinary services at Pet Poison Helpline. “But, as the use of e-cigarettes has become more widespread, our call volume for cases involving them has increased considerably.” In an effort to educate pet owners before an accident occurs, Pet Poison Helpline offers this important safety information. E-cigarettes are simply another way of delivering nicotine. Designed to resemble traditional cigarettes, the battery operated devices atomize liquid that contains nicotine, turning it into a vapor that can be inhaled. The most recent craze is flavored e-cigarettes, which are available in an array of flavors from peppermint to banana cream pie, and everything in between. What makes e-cigarettes toxic to pets? The aroma of liquid nicotine in e-cigarettes can be alluring to dogs, and flavored e-cigarettes could be even more enticing. The issue is the amount of nicotine in each cartridge, which is between 6 mg and 24 mg. So, each cartridge contains the nicotine equivalent of one to two traditional cigarettes, but purchase packs of five to 100 cartridges multiply that amount many times over, posing a serious threat to pets who chew them. For example, if a single cartridge is ingested by a 50-pound dog, clinical signs of poisoning are likely to occur. But if a dog that weighs 10 pounds ingests the same amount, death is possible. Dogs of any weight that ingest multiple e-cigarette cartridges are at risk for severe poisoning and even death. In addition to the toxicity of nicotine, the actual e-cigarette casing can result in oral injury when chewed, and can cause gastrointestinal upset with the risk of a foreign body obstruction. 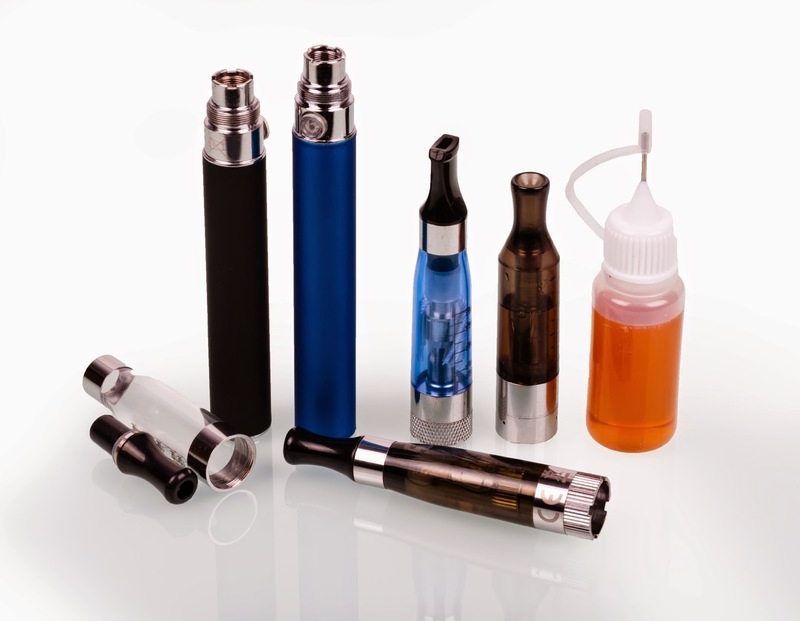 Some e-cigarette users buy vials of liquid nicotine solution for refilling e-cigarette cartridges. The solution is commonly referred to as “e-liquid” or “e-juice.” The small bottles hold enough liquid to fill multiple cartridges, meaning they contain a considerable amount of nicotine. Pet owners should be very careful to store them out of the reach of pets. What happens when e-cigarettes are ingested by pets? Nicotine poisoning in pets has a rapid onset of symptoms – generally within 15 to 60 minutes following ingestion. Symptoms for dogs and cats include vomiting, diarrhea, agitation, elevations in heart rate and respiration rate, depression, tremors, ataxia, weakness, seizures, cyanosis, coma, and cardiac arrest. What to do if a pet is exposed? Because nicotine poisoning can happen so rapidly following ingestion, prompt veterinary care can mean the difference between life and death for a pet. Home care is not generally possible with nicotine exposure due to the severity of poisoning, even in small doses. Take action immediately by contacting a veterinarian or Pet Poison Helpline at 1-800-213-6680. As always, prevention is the best medicine. E-cigarettes, cartridges and vials of refilling solution should always be kept out of the reach of pets and children.